The most common ones are Type 1 and Type 2. Type 1 diabetes usually occurs in children. It is a condition where insulin is not secreted from the pancreas. The organ that produces insulin in the body. 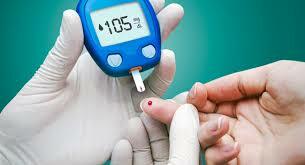 It is also called juvenile onset diabetes mellitus or insulin-dependent diabetes mellitus. In this type, your pancreas does not make enough insulin and you have to take insulin injections for the rest of your life. It’s a life long condition. Type 2 diabetes, which is more common, usually occurs in people over 40 and is called adult onset diabetes mellitus. It is also called non insulin-dependent diabetes mellitus. In Type 2, your pancreas makes insulin, but your body does not use it properly. 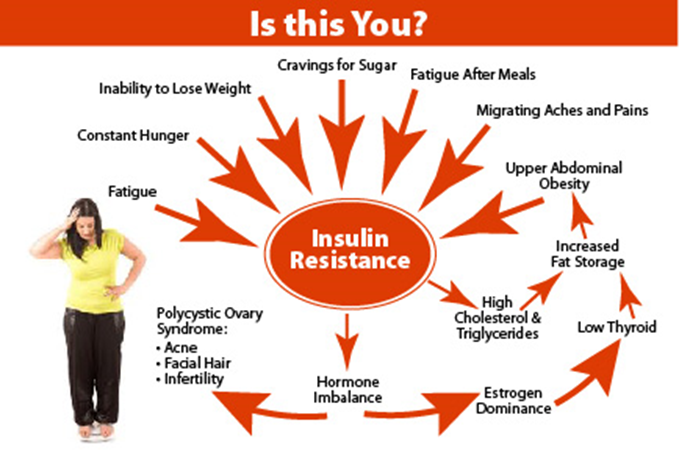 This is because your body have become insulin resistant due to poor eating habits. The high blood sugar level often can be controlled by following a diet and/or taking medication, although some patients must take insulin. The earliest sign of diabetic kidney disease is an increased excretion of albumin in the urine. This is present long before the usual tests done in your doctor’s office show evidence of kidney disease, so it is important for you to have this test on a yearly basis. Weight gain and ankle swelling may occur. You will use the bathroom more at night. Your blood pressure may get too high. As a person with diabetes, you should have your blood, urine and blood pressure checked at least once a year. This will lead to better control of your disease and early treatment of high blood pressure and kidney disease. Maintaining control of your diabetes can lower your risk of developing severe kidney disease. How the kidneys are kept working as long as possible? The kidney doctor, called a Nephrologist, will plan your treatment with you, your family and your dietitian. Two things to keep in mind for keeping your kidneys healthy are controlling high blood pressure in conjunction with an ACE inhibitor and following your renal diabetic diet. Restricting protein in your diet also might be helpful. You and your dietitian can plan your diet together. End of the day it still boils down to what you put into your mouth. End stage renal failure, or kidney failure, occurs when your kidneys are no longer able to support you in a reasonably healthy state, and dialysis or transplantation is needed. This happens when your kidneys function at only 10 to 15 percent. Yes. Once you get a new kidney, you may need a higher dose of insulin. Your appetite will improve so your new kidney will break down insulin better than your injured one. You will use steroids to keep your body from rejecting your new kidney. If your new kidney fails, dialysis treatment can be started while you wait for another kidney. Even though there might be a case where the body rejects the new kidney there is still hope of it being accepted. So be positive about giving it a go. Sometimes it is possible to perform a pancreas transplant along with a kidney transplant. Your doctor can advise you about this possibility. Having to do both transplants will definitely be a better option. Home monitoring of your blood glucose levels. Maintaining an awareness of controlling your blood pressure, and possibly monitoring your pressure at home. Cut the Sugar out for good and live a balanced stress free life. The reason why i am writing this post is because i was having a good long chat with my client MR. Kather who runs I.M. ambulance services, a non-emergency ambulance service. He transports patients daily from homes to dialysis centers or to the hospital. Most of them are kidney patients and require regular medical assistance. He read about a post i made on Facebook, “Diabetes is not hereditary, Eating habits are.” Both of us felt that more awareness should be created on individual healthcare as there has been a rising case of Diabetes patients in Singapore. Singapore is currently the no.2 nation with most diabetic cases. It is rather alarming to know about such information. I feel that more can be done by Health Promotion Board to get more Singaporeans to be more health conscious. If you know anyone who is living around the North or Woodlands area who requires an ambulance service feel free to contact Mr. Kather for assistance.